Here's my first attempt in blogging. Last weekend my neighbor and dear friend, Millie, attempted our first photo shoot. I have to say, for newbies, we did a pretty decent job. The weather in LA has been quite nice, it's still warm enough for me to wear a dress and a cardigan. 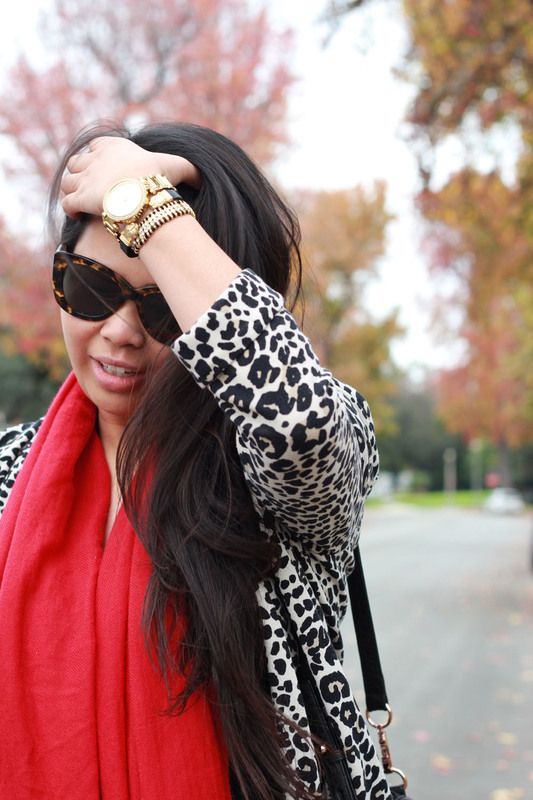 I decided to be a little festive last week and wore my favorite red scarf. I got this scarf a few years back at Nordstrom. It's their tissue cashmere scarf, and it come in an array of color. I love it to death, it's the softest thing and the perfect way to add some color to my outfit. I just recently purchased these Pamela Love for Nine West shoes. I have been lusting over them for a while, the minute I saw them go on sale, I called the called Nine West to see if they have my size. It probably was meant to be since the first store I called had them! 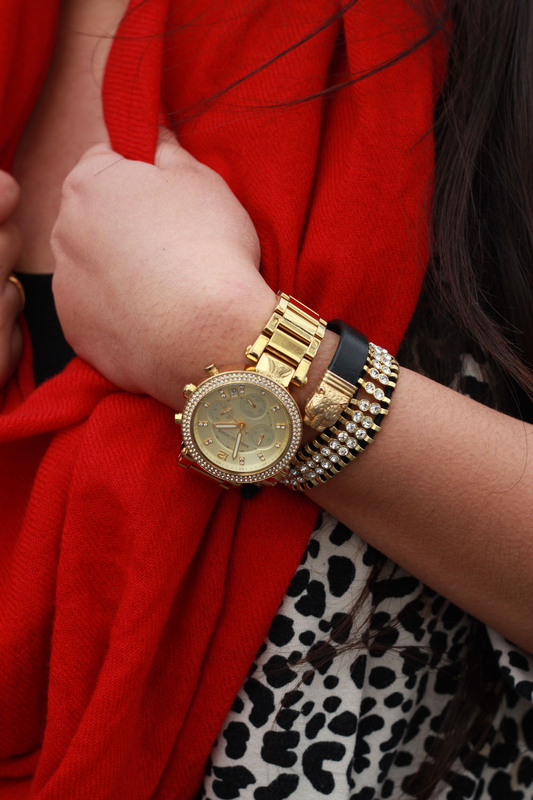 I like the neutral colors with the vibrant red scarf! 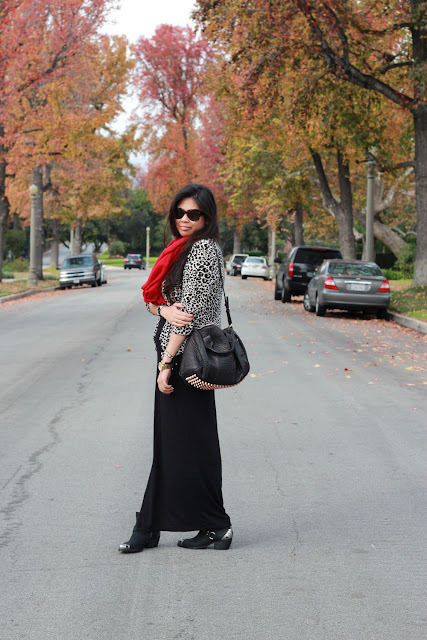 The background with the autumn leaves just makes the scarf pop even more :) Millie is an awesome photographer too! Merry Christmas! Cute! I have those boots and love them so much! Thank you Dylana! Those boots are just absolutely perfect! Would you like to go to New York Fashion Week? I don´t know if you already voted for me, but if not, you have still 2 more days to vote for my look and make me win the trip and you to the big apple. and you can find my outfit on my blog! Thanks for taking your time. You look stunning dear! OMG LOVE THIS LOOK!